Notes: Special thanks to Karen Pier Hunt who supplied all info and pictures for this entry. Hello if anyone is interested I have a go kart from four bears waterpark for sale. I remember coming here for the first time on my 11th birthday. it was so fun and I was afraid of heights. The slides helped me overcome my fear. I felt so alive. The last time I came here was my 18th birthday. it's so depressing now to drive by it. I remember seeing Frankie Valli perform there in the summer of '87. That was a time when his popularity had waned. There was just a small group of people there to see him. Now he's 'back' and his shows are sold out. Upon viewing the winter pictures, I'm instantly filled with a pronounced nostalgic wistfullness. This was one of 'our' summer haunts, one of the few places we could claim as ours, we sons and daughters of Rochester/Utica. This was summer in the age before we were old enough to drive to the Canadian bars. In the heat of July you could soak up was passes for sunshine in Oakland County, while listening to the sounds of kids determined to wreak havoc on the bumper boats. The arcade was well stocked with mindless pac-man style entertainment, the water slides (for the time) were equally fun, and the beach was far better than average for that suburban Michigan neighborhood. Here you could become friends and share ideas, hopes, goals, before the advent of cell phones, Ipads, or even pagers. Here you could have a crush. I'm ashamed to admit how many times the kids in our local social group were chastised for making out in the playground equipment. At the end of a long saturday, I vividly remember sitting with my friends out front, after the park closed, waiting and discussing the issues that were of life and death importance at 15: music, girls, video games, music, and the difficulty of relating to our archaic parents. My 1945'ish rental house backs up onto the Four Bears Lake, which is called Louis Lake, after 1 of the Bears. My understanding is that these 4 gentlemen were mafia from NY or NJ, 3 of them have been killed, 1 in the Meijer's parking lot at Auburn/Rochester. The last Bear left was running the park, but evading the IRS, putting various properties and accounts in family members' names, such as a sister and brother in law. The IRS caught up with him and forced him to sell all the slides, but I guess not the land, lake or front building, supposedly the brought in near $80k. If you look at the front of the existing building, now the condo offices, to the left, or east, behind a fence you can see remnants of many of the rides, some in a shack also. The condo project is to the right/west of that front/main building. The condos are far, far too expensive for this economy, the land there is graded for many more of these large condos, but only about 8 or so have been built. You can drive in there, there's no fence and numerous roads w/ nothing built on them. The condo office is always very, very active, so w/ the condos not selling and them not building any more condos, I really do not know what is going on w/ that building, it is certainly not exclusively condo sales. 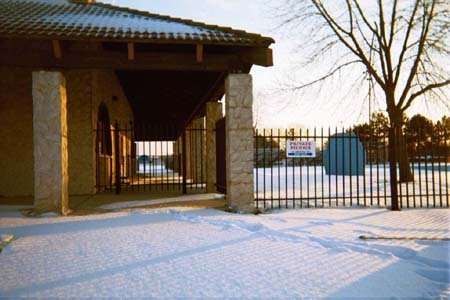 My neighbor, who has lived there for something like 22 years, stated that several people drowned in the lake when it was Four Bears Waterpark, I do remember hearing something along those lines, tho that is not why it closed, or for lack of profit. It was b/c the 4 Bears, or remaining 1 Bear, did not pay the IRS. How sad. My father used to take us there when I was a kid. we loved it. After being in the military and moving away for quite sometime, was hoping to take my niece there this summer when we visit. 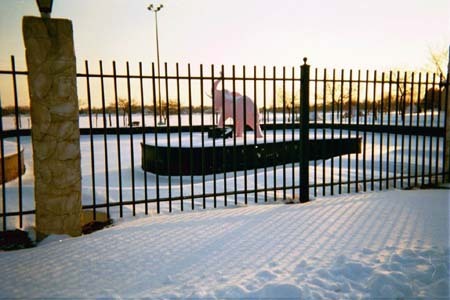 RIP 4 Bears Waterpark. What a shame, I worked there Back in 1987-1988 during the Summer''s as Midnight Security, which I had keys to everything, I can remember have some friends out late one night and we turned on the water slide, and ran the Bummer Boats. 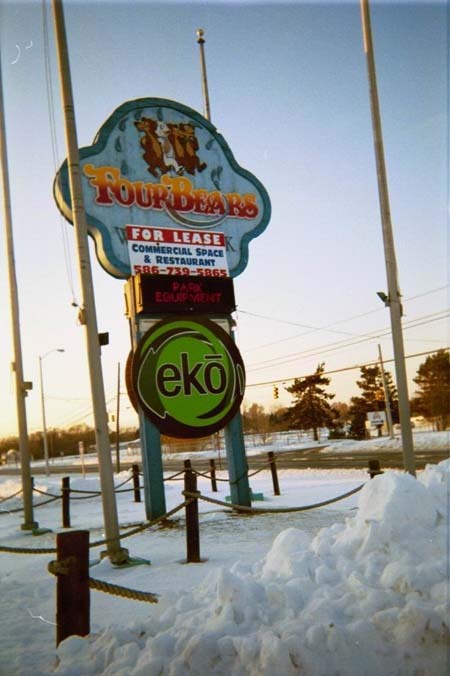 Four Bears was always Packed, and Business was Booming, but that was then, and This is Now. I will always Remember the Owners HotRod in the Back Barn. Times are Changing and for some reason the state sees that Park as Housing Property. No wonder these kids have no outlet, all these great parks are Gone!!. It''s now condos. 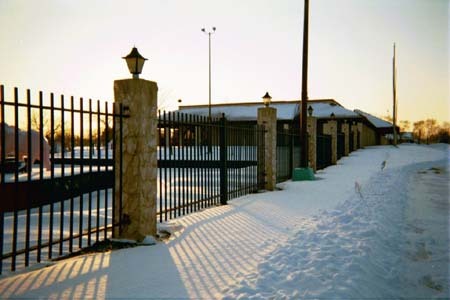 The pool, slides, and everything has been demolished except the main building. 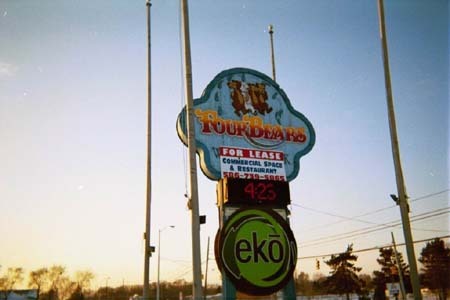 I grew up across the street from 4 Bears Water Park, Which replaced the Great Lakes Gravel Co on the site. I watched as The Timeraks old House was Demolished to Make a Parking lot. My Uncle owned Hendersons Family Hobbies for 23 Years on the Other Side of Auburn from 4 Bears. (He Closed in 1992) My Cousin Julia Henderson worked there at 4 Bears the 1st year they were open. The splash, splash, splash of a water slide will be heard no more in Shelby Township. Yet another amusement park is closing for good this year in Macomb County. 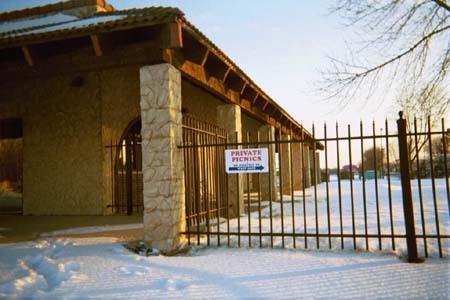 Four Bears Water Park, in Shelby Township, will soon be dismantled, according to the Detroit News. Businesses will line Auburn Road and possibly condominiums will take up the rest of the space. This is the second amusement park which has closed this year. 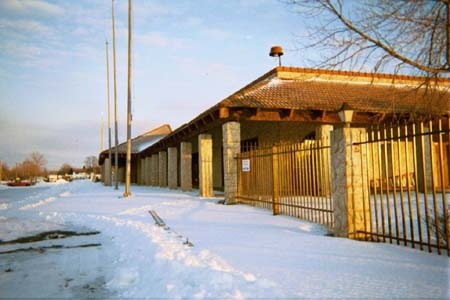 Riverland Amusement Park, located in Sterling Heights, also won’t be opening again. 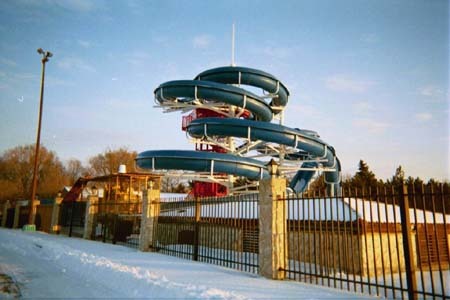 The water park, which opened in 1983, featured a huge water slide that was a landmark on Auburn Road, between Ryan and Dequindre. It also offered Go-Karts, swimming, paddle boats, a wave ride, and miniature golf, among other attractions. There was also a large picnic area and big arcade that drew people to the popular park. 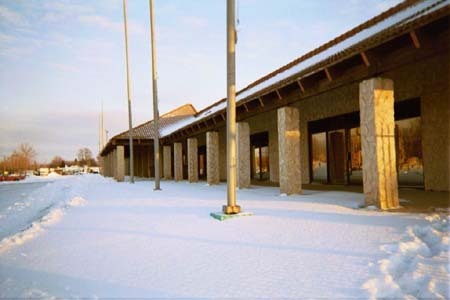 Many businesses also threw company events there. The remaining park in the area is Red Oaks, which is a park run by Oakland County. 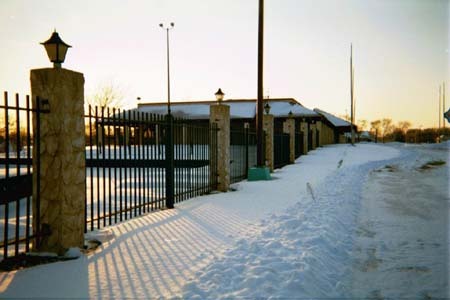 Both Riverland and Four Bears were privately owned.